Orange, gold, purple, silver, and black .25 grade glitter. Artwork was purposely destroyed over the course of a day. 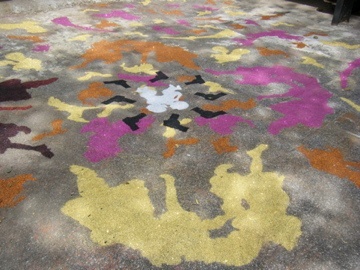 Remnants of photography and stencils have become separate artworks.